If you're like most people, by the day you are scheduled to leave for your Walt Disney World vacation you've probably been counting down for weeks or months (and sometimes even years). Your Disney World arrival day will probably be full of lots of excitement and anticipation, but it is also an important time to set the stage for the rest of your trip. And, conversely, the day you plan to head home will probably be filled with some dread and sadness, but there are some things you can do to make the return trip a little less of a downer. The most important thing is to not leave your arrival and departure days to chance. Check out the tips below for suggestions and tips on how to best plan for each! We usually recommend that you start and end your trips with a bang (more on that below), but how long you are planning to be at Disney World should help determine what your arrival and departure days look like. If your trip is shorter, you may want to maximize your vacation time by heading into the parks on either your arrival or departure day (or both). If that sounds like you, you'll want to plan ahead. If you have purchased a Walt Disney World Vacation Package, you'll need to officially check-in before you'll be able to access your park tickets and/or Dining Plan credits. The good news is, with online check-in you can do that without ever having to go to the resort. Just make sure that when you do online check-in that you select an arrival time that is before when you'd want to head to the park. Doing that will ensure that your tickets and credits are activated. If you don't have a package, as long as your tickets are bought and linked to your account, you'll be good to head directly to the parks without having to worry about checking in. Planning on using Magical Express? Keep in mind that you won't be able to take it directly to a park OR to any resort other than yours. Magical Express can only be used to take you from the airport to your resort. That's it. However, if your goal is to get to the parks as fast as possible and you want to use Magical Express, we recommend hopping out at your resort, dropping your carry-on bags off at Bell Services, and then heading to the park. If you aren't within walking distance or staying at a monorail resort, your fastest bet to the parks will be either an Uber, taxi, or Minnie Van. If getting in enough park time isn't a cause for concern, then one of the ideas below for longer trips will be a great option for you. Dining at one of the resort character meals is one of our favorite ways to start and end our Disney World vacations. Probably our favorite choice is Chef Mickey's because of the setting; you can't get more "Disney World" than sitting inside The Contemporary Resort with the monorail whizzing by while Mickey Mouse is walking around. If you are planning on doing a character meal (or any meal) at a resort other than yours, the least stressful way to get there will be via Uber/taxi or Minnie Van. If you plan on using only Disney transportation, you'll need to allow at least an hour to get there, plus keep in mind you'll likely need to transfer at least once. When your plans have you traveling between resorts, it is a lot less stressful to just budget for the $10ish (for an Uber) or $25 (Minnie Van) fare than it is to have a very expensive meal ruined because you were stressed and rushing around trying to get there. We recommend that you plan to watch the fireworks at Magic Kingdom from inside the park at least once, but your arrival day is a great day to catch them outside the park. This is especially true between late fall and spring when they are shown earlier in the evening (meaning you can still get to bed at a decent time after a busy day of travel). 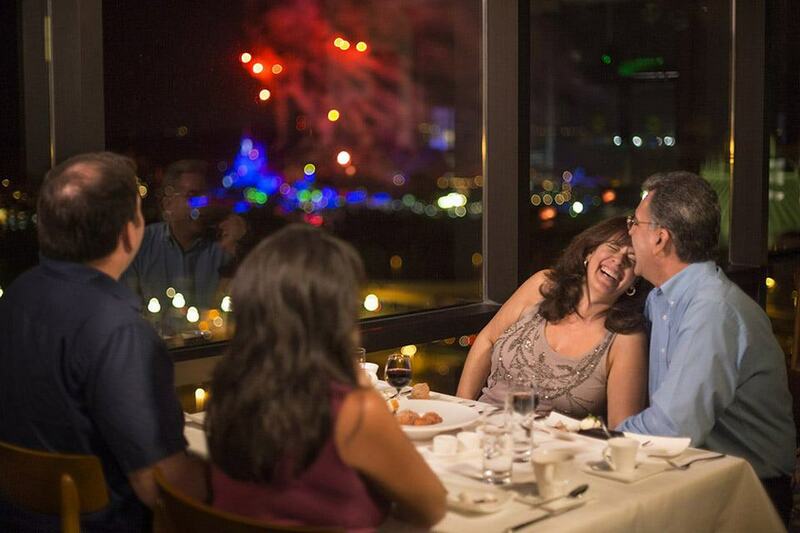 There are lots of places to watch the Magic Kingdom fireworks outside the park and you could even pair a nice dinner (like at California Grill) with the show. We often hear people mentioning that they wish they would have set aside more time for relaxing at their resort. The Walt Disney World resorts are amazing, but it is easy to find yourself so busy with the parks that you forget to make time to explore them. Your arrival day (and departure day) are a good option for that. Even if your room isn't ready or if you've already checked out at the end of your vacation, you'll have full access to all the amenities in the resort, including the swimming pools. 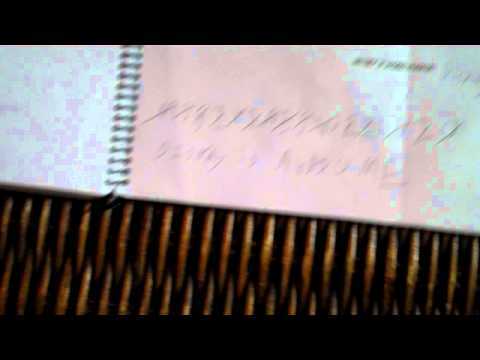 If you're creative, you may even consider putting together something fun like the scavenger hunt below to help get everybody introduced to the resort. All of the Disney World resorts will have special activities scheduled each day (things like movies or crafts). Schedules for those will be available at the front desk. You'll also find bike rentals, watercraft rentals, and at some resorts, even carriage rides. Check out the How to tour Disney World resorts post for more ideas. Thinking about swimming on your arrival day? If you are taking Magical Express, you'll want to make sure that you pack your swimsuits and a TSA-approved size bottle of sunscreen in your carry on bag. Nearly every trip I've made with my family has started off dining at a resort on the monorail just so after we eat we can hop on for a loop (or two). This is also the perfect time to check out the Epcot loop, especially if you aren't staying at a monorail resort. You'll get a good view of the park from up there. 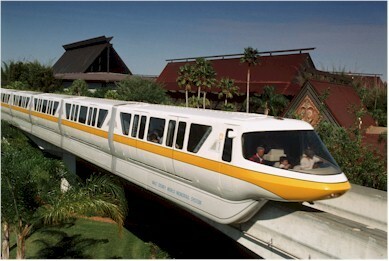 The monorail is totally free for anybody to use, regardless of whether or not you're staying on property. Just keep in mind that recent changes will have you going through a security checkpoint before you board. Disney Springs is a great option, especially for departure days. There you will find lots of options for shopping, dining, and even entertainment. Looking to do some souvenir shopping? 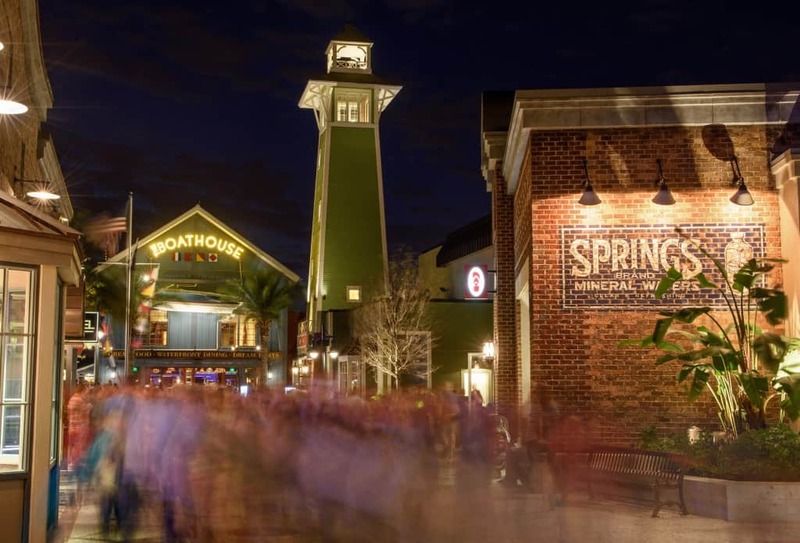 Disney Springs is your best option. You'll find the HUGE Disney Store plus tons of other Disney (and non-Disney) themed shops and kiosks. Try to start and end your trip out with a bang. Make full use of Bell Services and Resort Airline check-in. On your arrival day, save time to get your room organized, your bags unpacked, and your park bag ready to go. Remember to pack your TSA-approved sunscreen and swimsuits in a carry-on (if you plan to swim on your arrival day). Save room in a bag if you plan on buying stuff on your departure day OR plan to have stuff shipped home. Schedule grocery, stroller, and scooter/ECV deliveries on your arrival day so you'll be ready to go on your first full day at Walt Disney World. Remember to book a Bounceback offer before you leave. It is a lot less sad to leave Disney World when you already have another trip to return scheduled! Schedule a reservation too close to your arrival. If you are flying, we recommend not planning any reservations (either FastPass+ or dining) for any closer than 3 hours after your scheduled arrival time. If you are driving, give yourself 2 hours after you plan to arrive to your resort. Try to do too much on your arrival day, especially if you have a full day of travel before you arrive. You don't want to start of your vacation sleep deprived and grumpy. Underestimate the fun you can have by just spending your arrival day checking out your resort. Do you have some other Disney World arrival or departure day ideas or traditions? Feel free to share in the comment section. That was really useful information and just what I was looking for, thank you! On my arrival day, I have done Disney Springs. Going to my favorite stores and trying out a new eatery. Last time I was there, I went back to Disney Springs on my last day, but next go around I may do a breakfast somewhere. Ordering groceries ahead of time was the best decision we made after 15 years of annually going to the Park. Having snacks, drinks, amd fresh fruit to choose from in our rooms is cheaper and faster than stopping in the cafes. And for those with little, ordering a stroller to meet you at your hotel is fantastic. They are much more comfortable than Disney strollers, and you can take the,—obviously—outside of the parks. We are arriving late afternoon on May 1st and will be checking in (Pop) then taking a bus to Hollywood Studios and switching to a Port Orleans Riverside. We will then go see YeeHaw Bob for a fun filled first evening at the World. Big Fun!!! If you are using the Magical Express and have checked in online at your resort, rumor has it that you can get off the ME at the first resort it stops at. Then you can use Disney transportation to get to your park. Usually the bus has the potential of stopping at 4 resorts and will take approximately 5 minutes at the least before traveling to the next resort. Okay it will save you about 20 minutes. We like mini golf on arrival day.